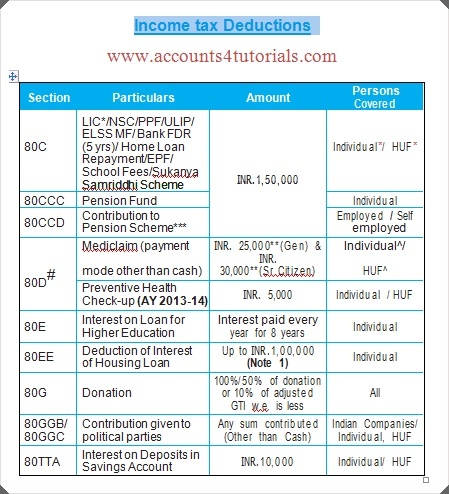 Home Income Tax Income Tax Deductions (LIC, Donation,Mediclaim, Pension Fund, Home Loan Repayment,Bank FDR Etc), Carry forward and Set off of Losses, Sec 80EE Conditions. 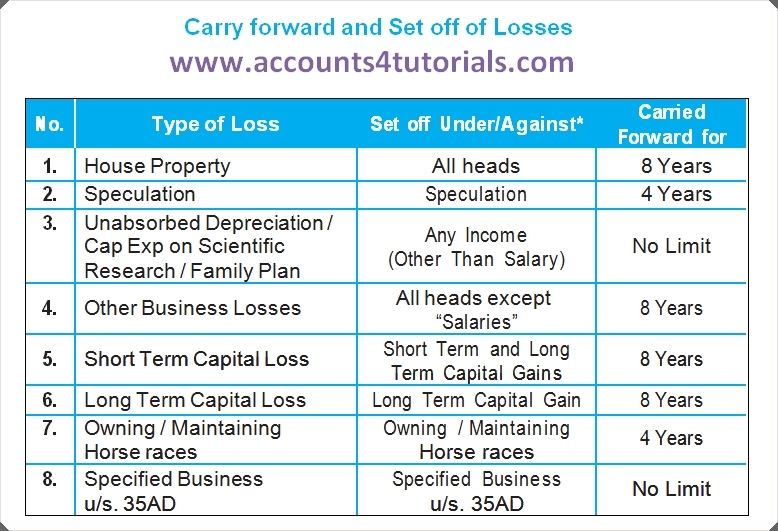 Income Tax Deductions (LIC, Donation,Mediclaim, Pension Fund, Home Loan Repayment,Bank FDR Etc), Carry forward and Set off of Losses, Sec 80EE Conditions. # Very Senior citizens above the age of 80 years, who are not covered by health insurance, to be allowed deduction of INR. 30,000 towards medical expenditures. * Deduction of LIC Premium paid is available to Individual only if it is paid for Individual himself, spouse, or any child of such individual and in case of HUF, any member thereof. ^ Deduction of Mediclaim paid is available to individual only if it is paid for Individual himself, spouse, dependent children of such individual or parents of such individual and in case of HUF, any member thereof. ** Additional deduction for any payment of Mediclaim for parents INR. 25,000 (INR.30,000 if parents are senior citizen). *** Subject to maximum 10% of Salary of Employee. * No loss can be set off against winning from lotteries, crossword puzzles, races including horse race, card games and any sort of receipt from gambling or betting of any form or nature. 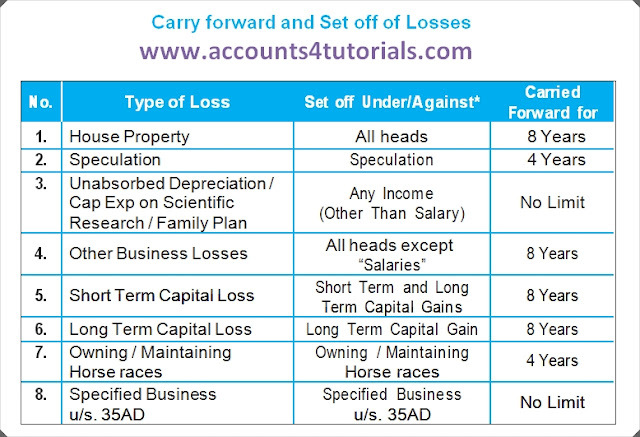 * For Loss to be carried forward for future periods, Return of loss must be filed in time.